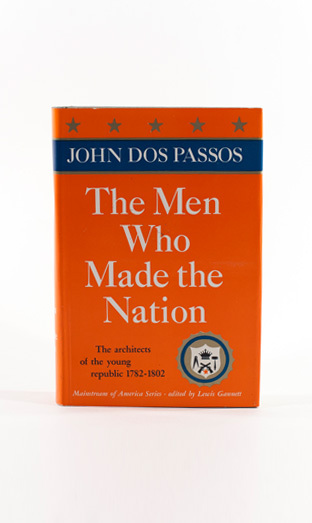 For this history, Dos Passos returns to the American colonial period and early nationhood, exploring the personalities who won the nation’s independence from England: Alexander Hamilton, James Madison, John Adams, and George Washington. Originally called “The World Turned Upside Down,” The Men Who Made the Nation covers the period from 1781 to Hamilton’s death in 1804. The work crystallizes the author’s fascination with the psychology of the colonial freedom fighter and presents lessons for current American policymakers.